I recently had lunch with a good friend – a very non-horsey friend. In fact, she’s not much of an animal person at all; however, she knows that they are a big part of my life and frequently finds some animal topic to bring up. On this occasion she mentioned that her boss, a horse owner, just returned from a visit in Canada. Upon her return, the boss apparently shared this observation – horse people in Canada spend much more time with their horses than horse people in the U.S. I found this to be an interesting observation – not because I believe it, but because it is something I’ve been giving a lot of thought recently. My friend brought this up because she had her own question – did I think this was more true for people like her boss, who board their horses at a stable, than for someone like myself who has their horses at home? I wish that I could say it was true. I think we all have a fantasy about a horse in the “backyard” – conveniently there for spending every spare moment with. But having your horses at home creates more demands on your time – for chores, care, maintenance, stocking the hay barn, etc. 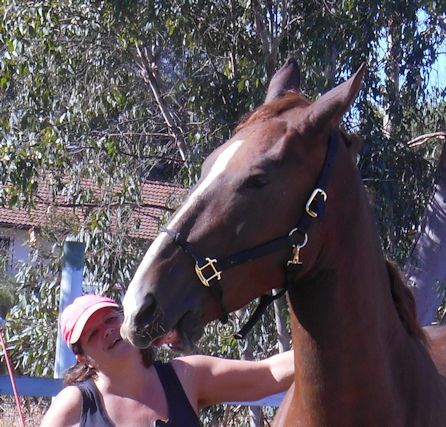 What you save in monthly board, you make up for in time and sweat – most of it not spent on the horses themselves. The flaw I find in her boss’ logic is in the nationality angle. I’ve been reading and conversing about the state of modern riding, and the trend of using the horse as a recreational vehicle has no nationality. It is clear that far too many riders now show up at the barn, tack their horse up, have their ride, and go home. The worst part is that most are unaware of the problem with this program. As I asked my friend, how would you feel if someone kept you locked in a room, only taking you out long enough to have you perform a dance, then put you back? Granted, not all horses are kept in a box stall (though too many are), but the principle isn’t much different for horses in turnout. Mom and Coffee have done more bonding this year than the rest of us. Horses are highly social creatures – relationships being every bit as important to them as they are to us. Even if a horse lives in an equine social group, there is that human who has expectations of him. Have you ever had one of those bosses who is absent, except when they come to demand something of you? Once they get what they want, you won’t hear from them again until the next time? I had one of those bosses. I frequently thought to myself, “This must be what it’s like for so many horses!” There is no feeling that you are understood, or even “seen” most of the time. My boss never understood me, or what it took to do my job. When she would give praise, it was usually over something minor; major efforts often went unrewarded. She wasn’t there to provide support when I needed, but expected performance when she needed it. The sight of her at my office door began to cause resentment … and even unease. I don’t pretend to know what horses feel when only taken out for work – but I’ve seen enough of them in that situation to believe that my feelings were close. Which brings me to why I’ve been thinking about this issue of spending time with the horses. As we’ve worked with the horses over this past year, something seems to be missing. 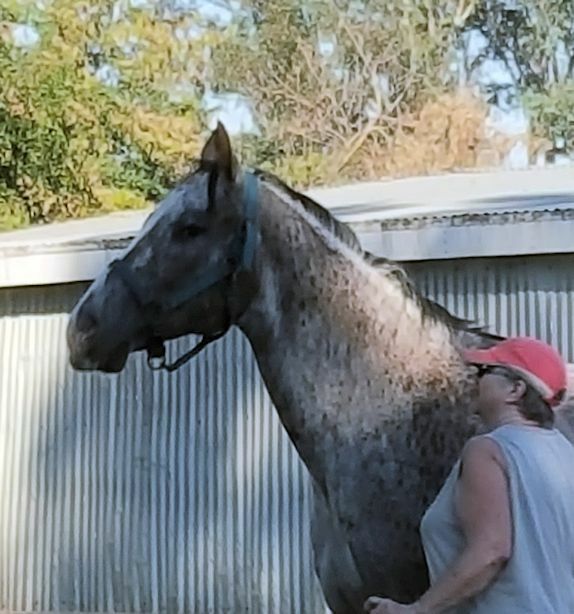 Thinking back over the horses I owned and trained in past years, there was a connection with each of them. They were not only willing to work, but they happily greeted my approach and seemed to actually enjoy the work. We care about our horses, and they seem to like our company – but that deeper connection hasn’t been developing. I can’t describe what seems to be missing – but I’ve felt a “hole” in the relationship. It was while pondering this “hole” that I began to think of the time outside of the arena. “Back in the day”, the barn was a hangout. Most people who boarded their horses sought refuge in the barn. It was more than just going out and riding – there were walks, hanging out chatting with other horse owners while our horses munched bunches of green. Weekends were spent bathing, going on hours-long trail rides, taking a lesson then holding your horse by the side of the ring watching other lessons. The focus, for most of us, was the horse not the activity. There were those who just came, rode, and left – but they were generally at professional training stables, not your local boarding stable. Sadly, the trend has taken over now, even at boarding facilities – horses are just another activity fit into a busy life. I’ll be trying to find time for more moments like these in 2016. Which brings me back to my own horses. I’ve realized recently that with so many horses, and a busy job, those extra bonding times have been in short supply. The limitations on activity, due to my earlier injuries, didn’t help much. Behavioral scientists and ethologists are showing that bonding behavior in horses is made up of quiet moments – standing over a sleeping companion, resting a head on a grazing buddy – just being together. Those “together” times were completely natural when I was a teen, and carried on throughout most of my adulthood; but I realize that I’ve underestimated the importance of those quiet moments in my journey to get back to riding. The result is horses who are willing to work, but not necessarily happy to do so. So, during the wet and dark days of winter, even when time or weather restrict working, I will be spending more time just being with the horses. My New Year’s resolution will be to find that deeper bond in those quiet moments. After all, if I’m trying to find the magic I once felt, I have to look toward the relationships. It was there that the magic was, not in the ability to make a horse do what I want … for that I could just as well get a bike! Find time to just “be” with your horses! This entry was posted in My Journey and tagged boarding, bonding, grazing, New Year's resolution, quiet time, relationships, riding, training. Bookmark the permalink. Great perspective on quality time with your horse, thanks! Oh, I hate the crazy cold nights (I live on the Canadian prairies, where a cold snap can put us at -40*C), but I love the checking in on them to find them bedded down together, snuggled into knee deep straw, dozing. I love those quiet whuffs of greeting…"Oh, look Mama's here…zzzzzz"
That I can walk amongst my Girls at 2am while they are all lying down in their shelter is amazing! Can't do that in a boarding situation. Little moments, quiet moments, bonding moments. I'm greedy. I want them all for myself. I don't want to share them with a barn owner/manager/volunteer. How wonderful to hear from someone who understands the finest parts of having horses in your life! You and your girls are very lucky to have each other! And you make me feel lucky not to have such cold winters! Brrr!